I recommend all of these if you’re at all interested in the community, finding new players, idle bragging, and discussing just how awesome that handsome Australian man is. 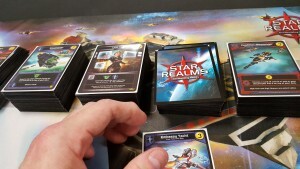 I didn’t steal any ideas from Star Realms: Rescue Run, but you should buy it anyway because it’s really cool, and Jon Del Arroz is a super-talented writer. Rescue a copy here. This isn’t really a new way to play, but if you’re playing with every card that could possibly go into the Trade Deck, a two-player game Trade Deck would be about six thousand cards. 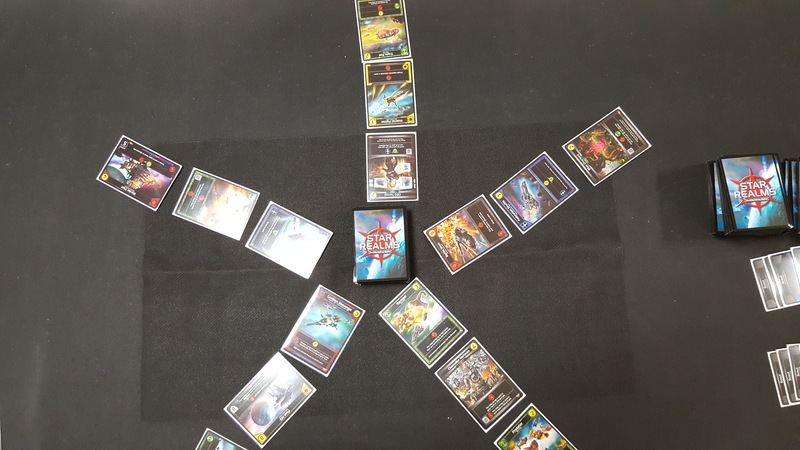 Every Single Card Possible for a Two-Player game! Chrysler Building for Scale. 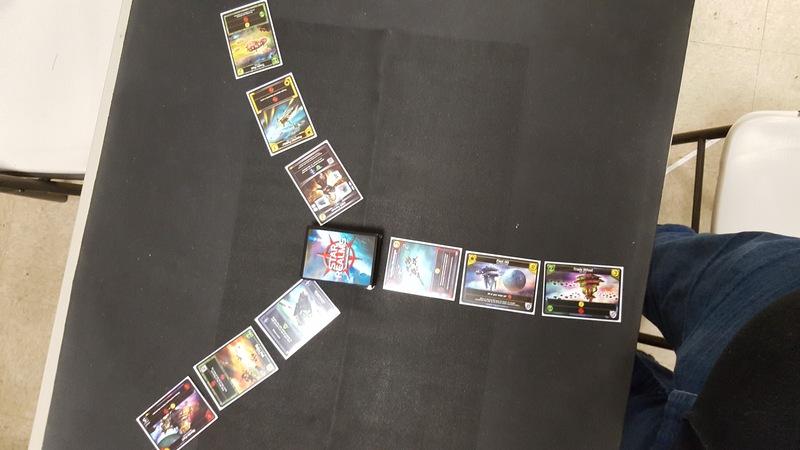 If you have an unwieldy tower of certain death, you can split the pile into five smaller and more manageable piles, placing them on the five Trade Row spots. When you reveal, you reveal the top card of the empty spot. As long as the master pile was randomised, the piles should also be random. If you do happen to run out of cards in one pile, just redistribute from another. And I just flip over the top card you say…? 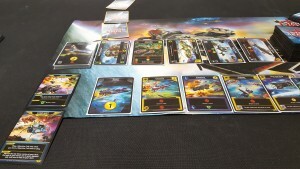 This one comes from our friends at Tasty Minstrel Games. These folks designed Cthulhu Realms based on our game engine. When it came to the 3+ multiplayer rules, they had an amazing idea. It’s very cool, and it fits the space theme really well. 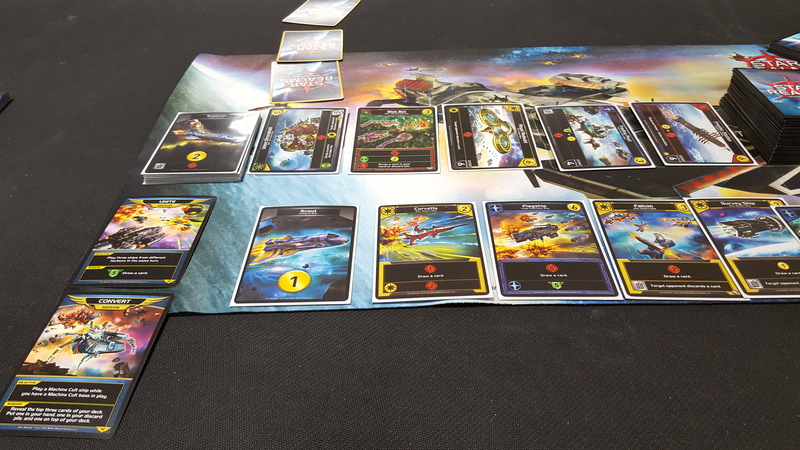 The setup goes like this: place the Trade Deck in the middle of the table, and then deal out the Trade Row in such a way that a 3-card arm points to the space between each player. Trade Row, Y u do dis? If you have four players, make an X. Five players, make a star. Six players? Make a…star. A bigger star. I guess. If this were a pirate game, the treasure would be here. You can make a Star Shape! Far easier than making a Realms shape. 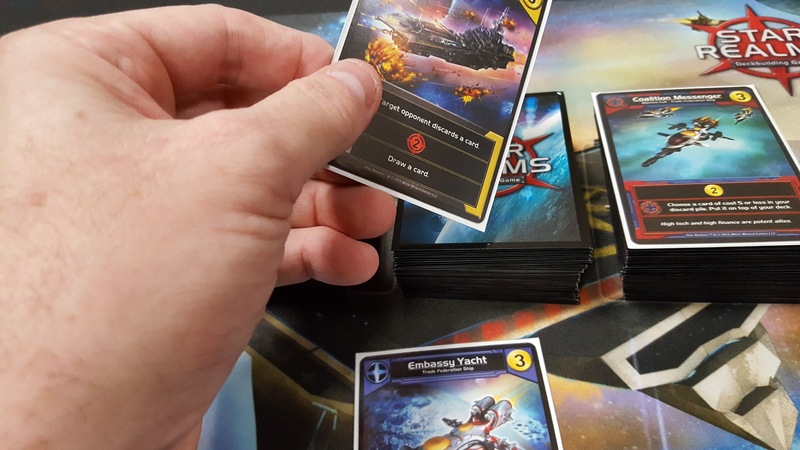 Players can only acquire or affect/be affected by cards that are in the arms closest to them. You’ll notice that each player has access to six cards rather than five. That’s because six is more fun. Also it makes this version of the game work. So shush. 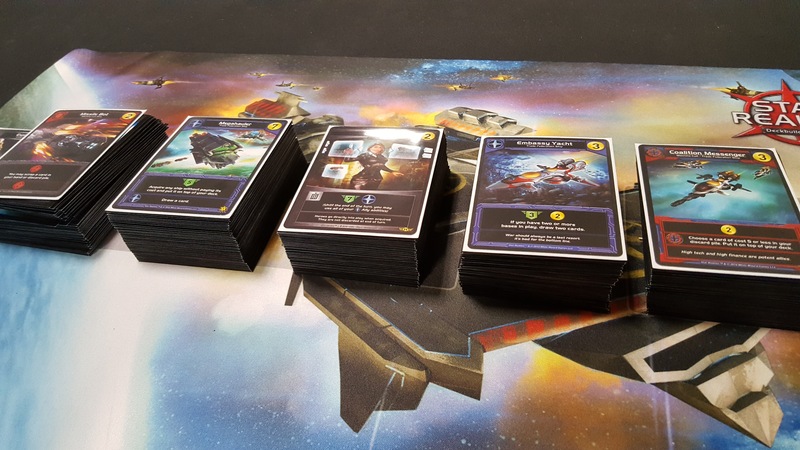 If a player is eliminated, scrap every card to which that player had access, and redistribute the pattern to suit the new number of players. 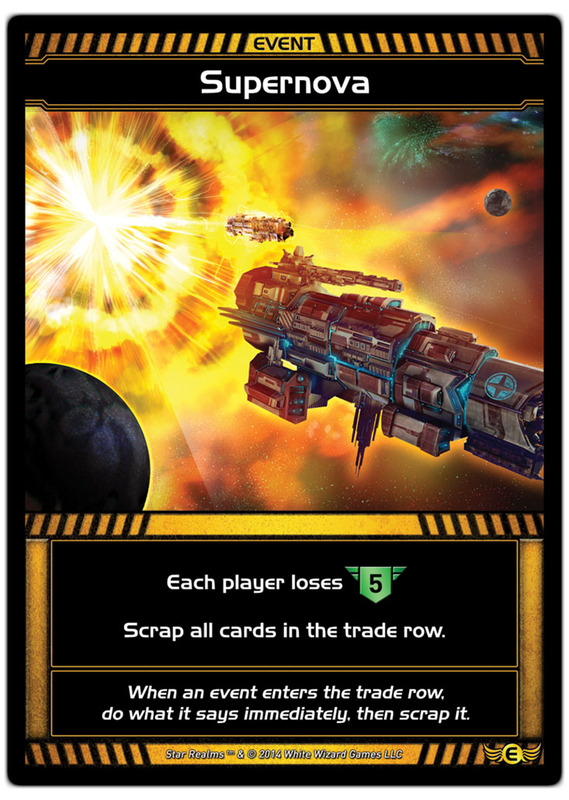 You probably won’t run out of cards, but reshuffle the Scrap Pile into the Trade Deck when you do. When you scrap a Hero, it goes back to your discard pile instead of the Scrapheap. 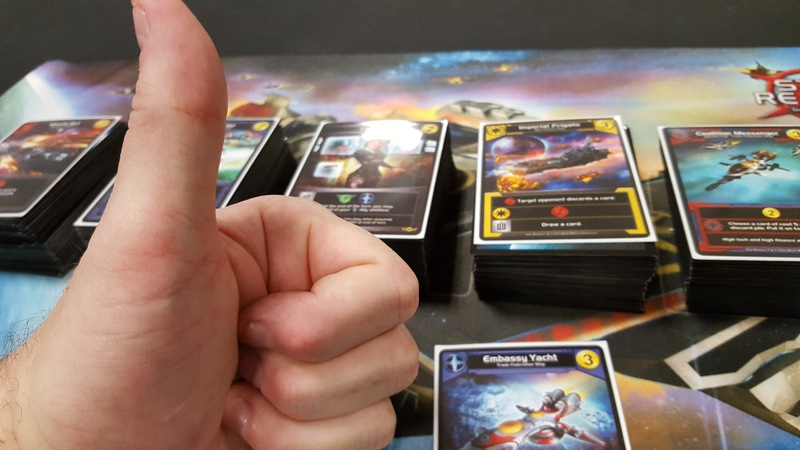 When a Hero is in a discard pile, any opponent may pay the card’s Trade cost to acquire it. 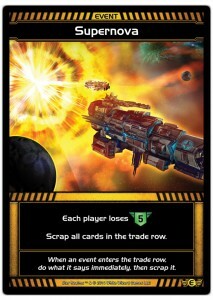 Once per turn, players may acquire the top card of the Trade Deck by paying 4 Trade. Hmm…I have so much Trade. Shall I take the risk? This one came from the Facebook group. I want to say it was Legend Series winner Matt “the Cutter” Newburg’s idea, but regardless, I’m stealing it. 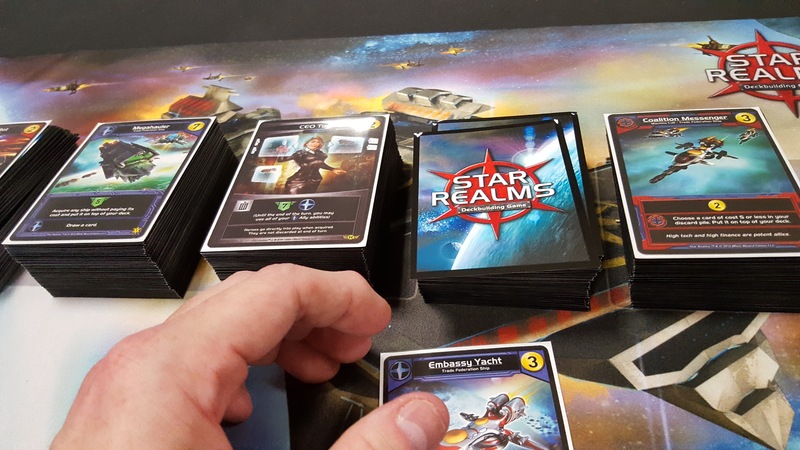 Events and Gambits are a lot of fun, and they mix up the standard Star Realms experience delightfully. This suggestion makes Events more…eventful. Normally players get a random selection of Gambits and they start the game with them. 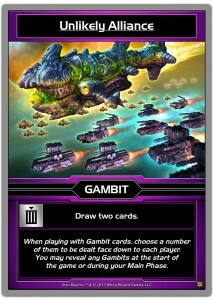 This variant says neither player starts with a Gambit, but each time an Event comes up in the Trade Row, each player immediately gets a random Gambit card. 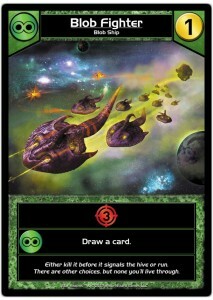 I don’t know about you, but nothing quite takes the sting off a Supernova than getting “Draw 2 cards” on a stick. (I guarantee you that previous sentence has never been written before in the history of language). When you complete your first Mission, your other two missions are revealed to all players. This way, they can play defensively to try and stop your nefarious schemes! 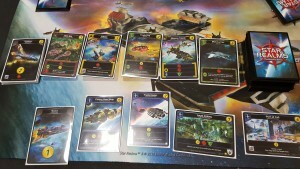 Each player gets one Mission card. When they complete the Mission, they get another random Mission card. Because planning is for fools! What’cha got over there? Some kind of Missions? You can even combine the variants, but that’s weird. You’re being weird right now. 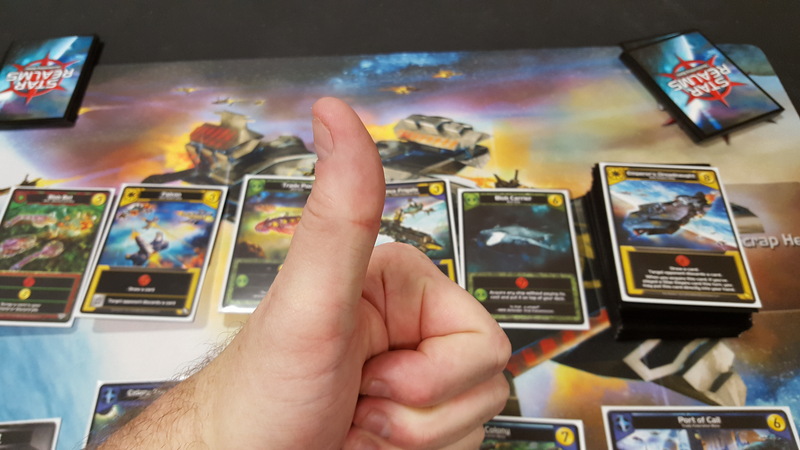 You like the new ships and bases in Star Realms United? You want more? Create your own! 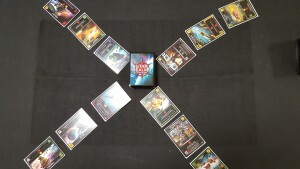 For two players, each player is randomly assigned two of the core factions. You can do this by shuffling up one card of each faction and dealing them out. Make a note of which player was assigned each faction pair, because those factions will trigger each other’s Ally abilities. For example, if you are given Blobs and Trade Federation, your Blob and Trade Federation cards will trigger off each other, so if you play a Blob Fighter and a Federation Shuttle, you’ll draw a card and gain 4 Authority! For more than 3 players, just give each player a random two-colour combination. It doesn’t matter if they overlap, especially if you’re also using the Sector War variant above. When a player acquires a card from the Trade Row, they may give it to their opponent instead. What a great way to get rid of junk from the Trade Row, and also fulfill your gift-giving obligations! That’s all we have for now. If you have more fun variants, let us know! And from everyone here at White Wizard Games, have a wonderful Christmas and/or Holiday celebration, and keep away from that frozen death water people sing all those songs about. Ian Taylor is a writer, comedian, game designer, and a handsome Australian man. He spends his days in Central Massachusetts doing some combination of those four things. 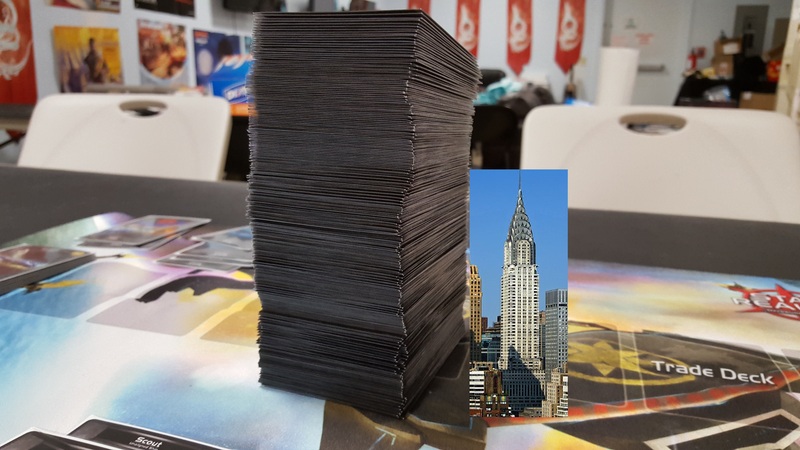 Wait…6000 cards? Is that right or did I miss a joke? Yep. Comedy exaggeration. 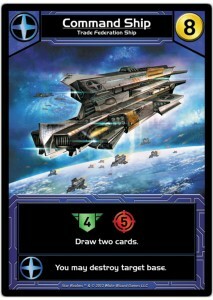 I think the Trade Deck with every possible card is under 300 cards. Still a big shuffle though. “You’re being weird right now.” Laughed so hard! 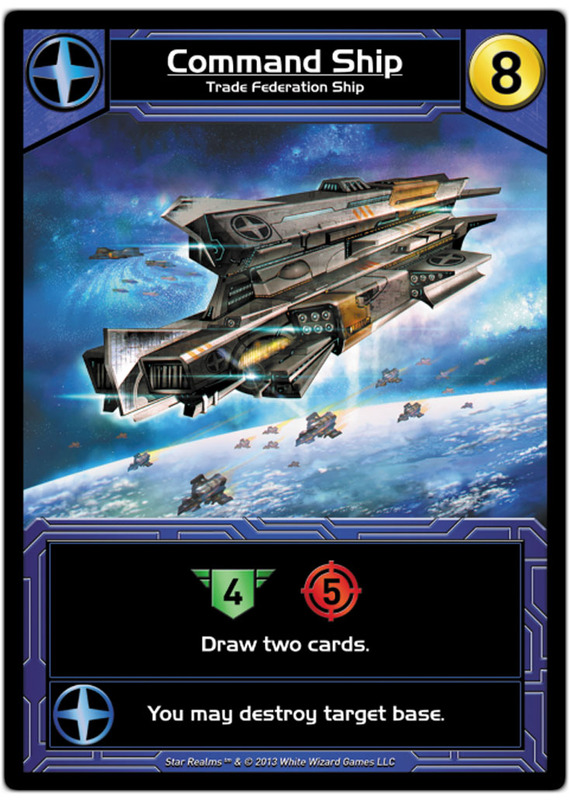 I got a win by mission or total destruction variant for those who enjoy long games with destructive combis. Setup and play with normal rules. 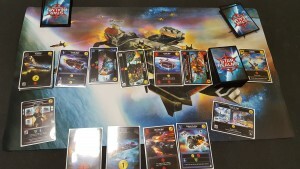 Each player has 50 and 3 missions. You must complet all mission to win. If you manage to drop your opponent to 0. He gets a extra mission to complet and reset points to previous-10. Points will go from 50, 40+1mission, 30+another mission. 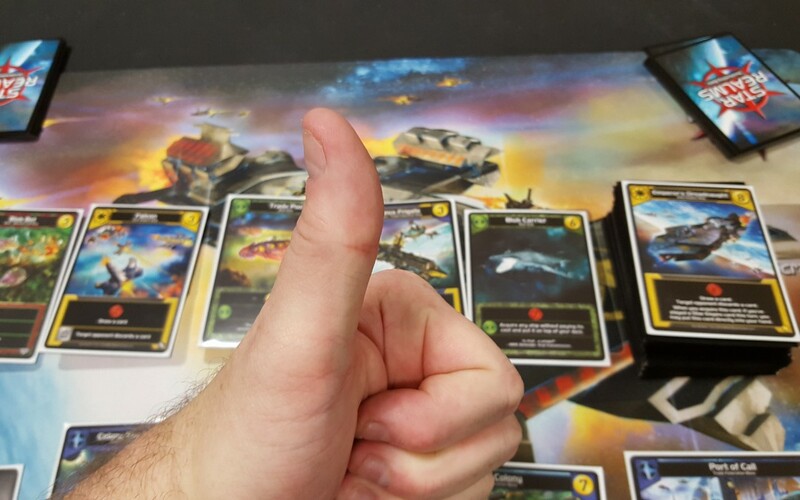 If your opponent was at 10 and drop to 0 you win by total destruction. 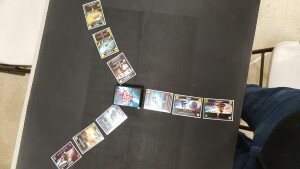 Another fun variation is to deal out a hand of gambits to each player and select them draft style, keeping one and passing the rest until all have been dealt out. I’ve found this eliminates a lot of the annoying randomness of the luck of the deal.